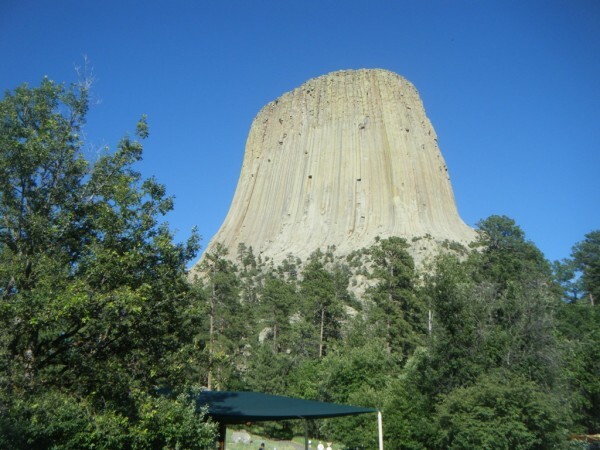 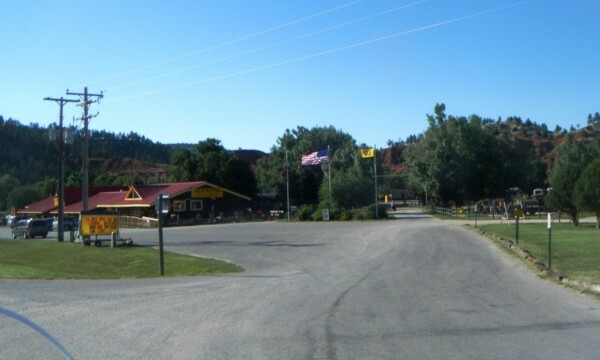 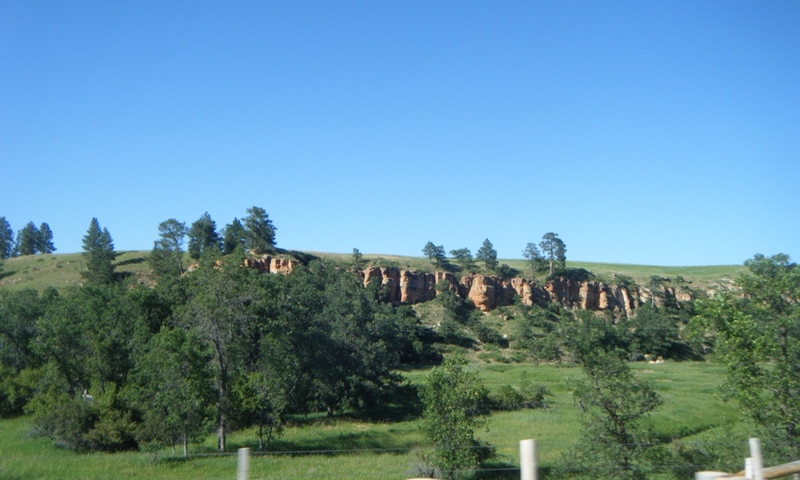 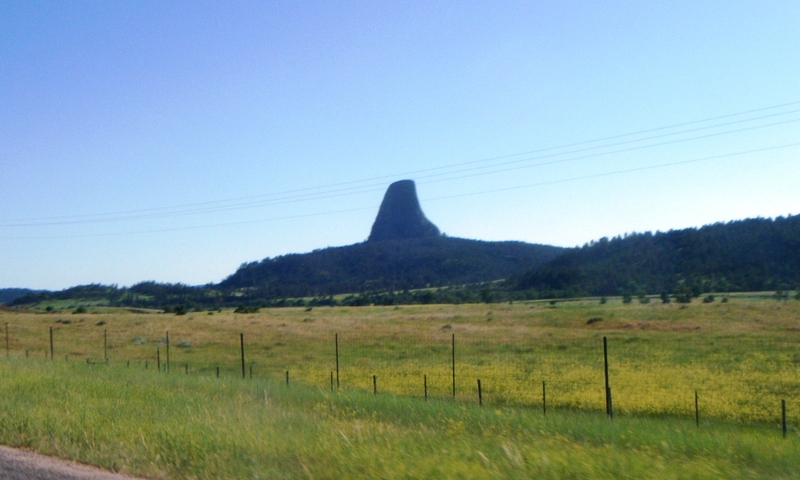 After leaving Sturgis, I headed northwest along Hwy 34 to Belle Fourche and Hwy 24 towards Devil’s Tower National Monument near Hulett, Wyoming. 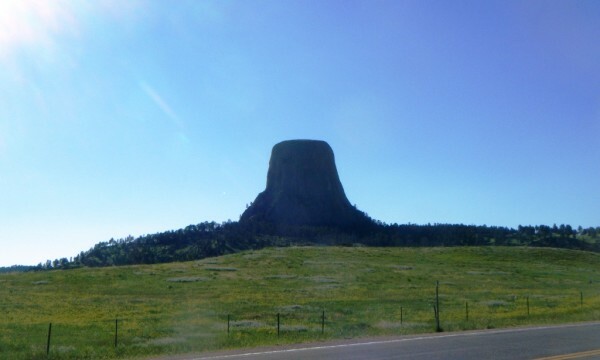 My travelogue report for this segment of my trip can be read here. 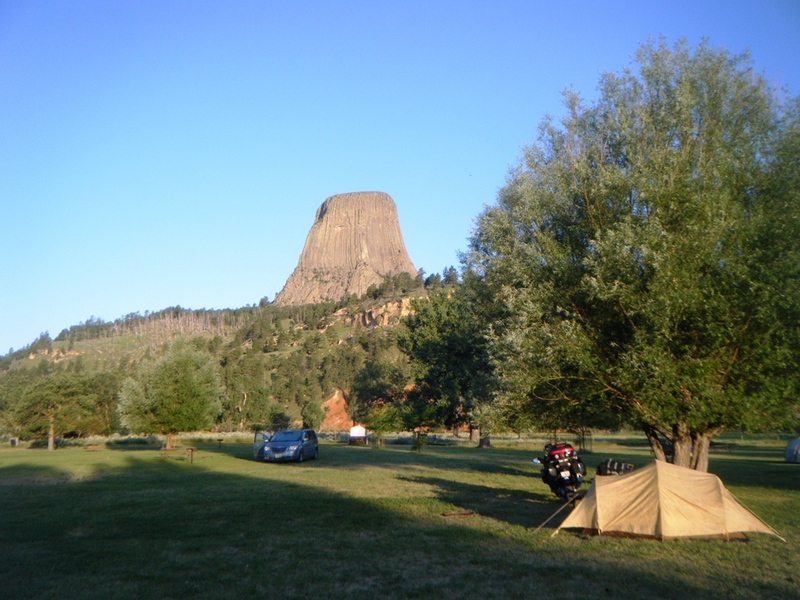 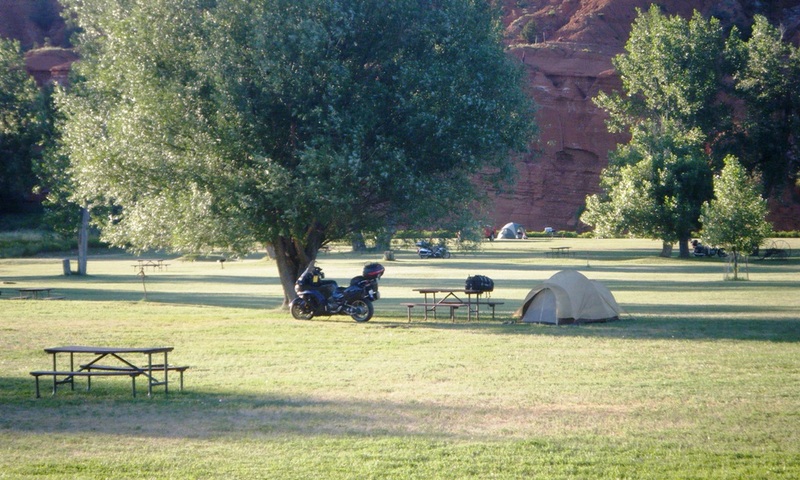 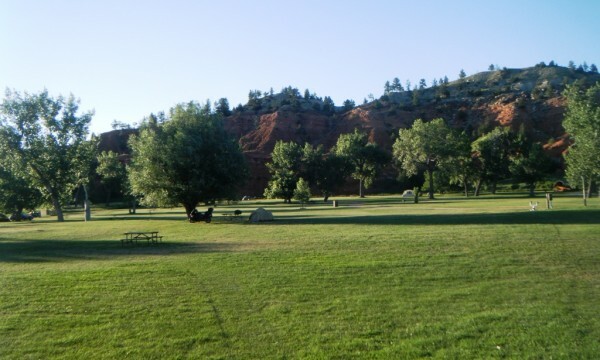 My campsite at the Devil's Tower K.O.A. 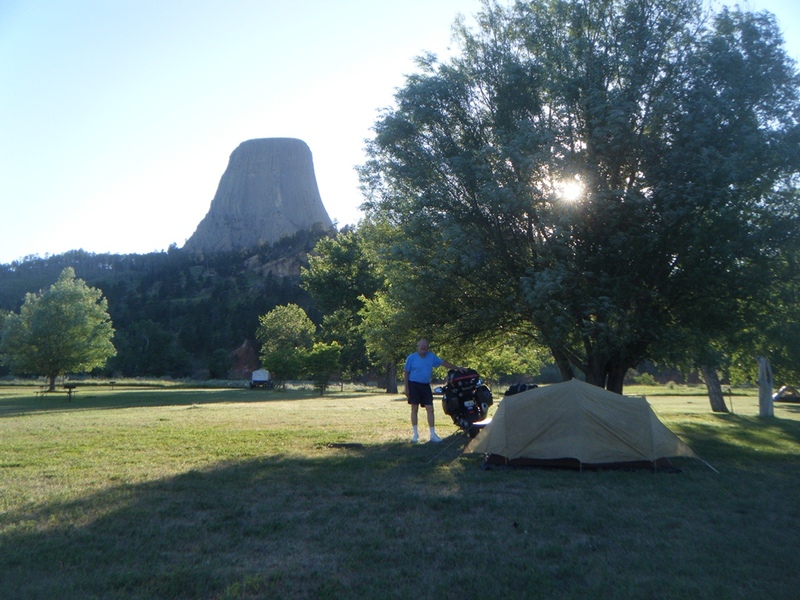 The next morning I took this photo to show Devil’s Tower with the eastern side illuminated by the Sun.